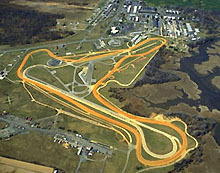 Aberdeen Proving Ground (APG) is home to nearly 70 tenant organizations. Located just off Maryland's beautiful Chesapeake Bay, the Aberdeen area features family-oriented communities, beautiful neighborhoods, and many exciting leisure activities that compliment the relaxed Chesapeake Bay Lifestyle. Aberdeen has excellent schools, an array of entertainment options and sports facilities.